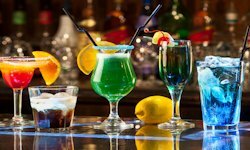 COCKTAIL CLASS: Have you ever fancied yourself as a bit of a Tom Cruise from the hit movie Cocktail? Well now is your chance – Each member of your group will be brought behind the bar where you will get to make and drink delicious cocktails and have a great time while you are at it. Make sure you get the cameras ready to catch that magic moment!!! The activity includes 2 cocktails – you get to make one and you get one made by the barman.